Dear Diary 30th August - Preparation for the upcoming “But someone has to do it Tour”. Two weeks of top end equestrian sport starting with The Land Rover Burghley Horse Trials 2nd-6th Sept and then on up to Blair Castle for The Longines FEI European Eventing Championship 9th-13th. Covering both from “Trot Up" to "Trophy”. I figure if you are serious about equestrian photography you need to do a European Championship if held in the UK. So two weeks on the road, but the preparation started some months back by applying for press credentials - confirmation was received last week, which meant firming up on plans for not only travel, but equipment, clothing, food and anything else need for two weeks photography on the road in a VW Camper van. 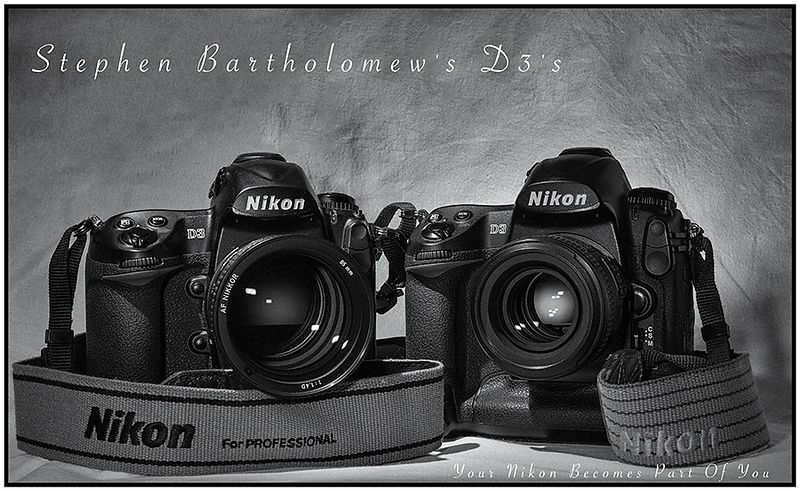 So recent days have been spent on camera equipment lists and TLC on the two work horses - my two Nikon D3’s. Although these are not the latest top end pro bodies they just feel comfortable compared to the more recent models I own and have used. This week they have been treated to new batteries which were long overdue and a good clean inside and out. Whilst cleaning the image sensors I checked the shutter count and collectively they have taken over 500,000 frames [that’s a lot of crap images and maybe even a few good ones] and covered over 50 sports at some great venues. Over the years they have suffered knocks and damage - rubber grips have been renewed, one has had the shutter box replaced and the other a new top plate following a fall into the Grand Canyon. The fact they will continue to be supported for quite a while according to my friends at Nikon NPS is a real testament to the quality of the Nikon marque and I can't see I will ever sell them. After cleaning and thinking they were in really good condition for their age I remembered probably the best camera advert of all time. It was simple picture of a camera body. 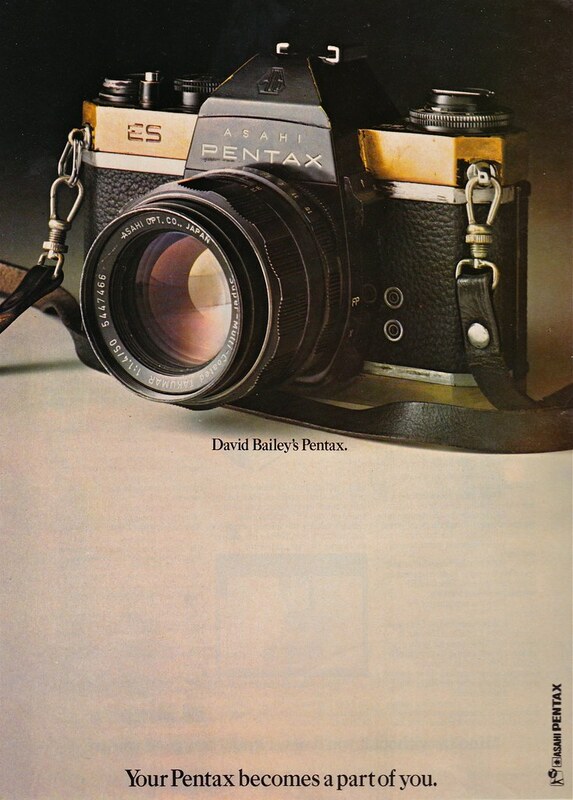 The text read “David Bailey’s Pentax” an Asahi Pentax ES with significant signs of wear exposing the brass body. They say great pictures tell stories and it just conjurers up some pretty iconic images by the great man. I found out many years later in an interview that Bailey had used sandpaper to expose the brass and it was not all wear and tear - but I don’t think it spoilt the story. When searching for the original ad on-line it listed the same model for sale on EBay - Captioned “This is probably the most famous film camera ever! as it was the film camera used by the legendary Bailey who used it to shoot the iconic Jean Shrimpton and changed the look and feel of photography for ever”. Now I would not disagree that Bailey changed photography - But I think he used a Pentax S to take famous shots of Jean in New York  and not with an ES as the production run started in 1972.